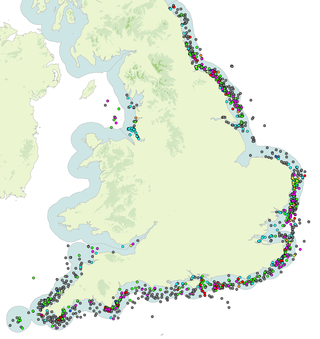 The known maritime resource in waters off England is dominated by wrecks of the mid 19th to mid 20th centuries. The Marine Principles of Selection project revealed that 96% of all the known and dated wrecks listed by the National Monuments Record (NMR) were lost in the period between 1860 and 1950. As a result, wrecks of these periods are the most commonly encountered by the aggregates industry in the course of licence application processes. Despite the abundance of wrecks of this period, a consideration of their special interest currently relies on an assessment of the wider national context of historic shipping activity and a national stock-take of comparable surviving examples. Whilst this approach enables a particular wreck to be considered of special interest in respect of one factor or another, it does not enable the relative or absolute importance of a particular wreck to be ascertained. The difficulties commonly encountered in assessing wrecks dating between 1860 and 1950 thus arise from the absence of any agreed corpus of work upon which the assessment of individual wrecks from this period can be based. In the absence of a decision making framework which assists in determining the interest of a particular set of physical remains, mitigation currently relies on the establishment of exclusion zones based on the physical extent of the wrecks. This is an approach which is neither intellectually sustainable nor likely to remain viable as more wrecks are found. The Assessing Boats and Ships project comprises a series of three desk-based studies, split into the periods 1860-1913, 1914-1938 and 1939-1950, and a methodology report. Within each period, wreck data provided by the NMR has been interrogated in accordance with an attribute framework informed by Wessex Archaeology's 'BULSI' system of wreck assessment (Build, Use, Loss, Survival and Investigation) and by the integral and relative factors for assessing special interest of boats and ships identified by the Marine Principles of Selection project. This data has then been interrogated to provide a national stock-take of wrecks in English territorial waters for each period. In addition it has been thematically reviewed in relation to ten broad classes of shipping use, comprising: transport; (cargo/passenger); military; fishing; industrial; law and government; health and welfare; commercial; agriculture and subsistence; domestic; and recreation. This analysis forms the basis of a subsequent discussion of the special interest of boats and ships of each period. The stock take considers known wrecks as a single entity by including both boats and ships. The total number of wrecks assessed by the project for the period 1860- 1950 is 2786. Although the stock take is based only upon known wrecks, it has been informed by comparison with casualty records held by the NMR. It has also been informed by comparison with the many preserved vessels that survive, through datasets provided by National Historic Ships and the National Small Boat Register. Results of other relevant studies have also been considered. By having current relevance as a result of embodying distinctive attributes that parallel practices applied today. Where the special interest of a wreck stands outside the main themes and trends, it may be regarded of special interest through encompassing assets which are regarded as exceptional and do not bear comparison. In addition to the period based reports, the Methodology Report explains the project methodology and the various issues that arose during the course of the project. In doing so it makes various recommendations with regard to data structure and recording practices and with regard to future enhancement priorities. The project has also resulted in various outreach activities, including school workshops. A teachers' pack is being made available through the Wessex Archaeology 'Splash 'website as a legacy of these activities.